12.12.2014. One of the country’s top tourism agencies is publicly supporting the Georgian Airways strike as airline officials threaten to "paralyze” Tbilisi International Airport if its demands are not met. The Georgian Airways protest is gaining momentum and has affected flights in and out of Georgia’s capital city Tbilisi. The founder of one of the top tourism company "All Tours” Maia Mchedlidze said her company and others were in solidarity with the demands of Georgian Airways, who today pledged to ramp up their strike if their demands remained unanswered. Mchedlidze noted that local tourism companies operated in harsh conditions as there were no regulations to enable them to compete with foreign companies. "We make charters through Georgian Airways therefore we are dependent on each other,” she said. "Our problem is that foreign tourism companies are trying to swallow us. Egyptian and Turkish aviation companies are entering Georgia with very low prices, they decrease their prices and we are forced to do the same, which, due to our limited resources, causes great problems for Georgian tourism companies. Their resources however enable them to act like this,” Mchedlidze said. "With such actions they are trying to swallow us and to [take over] the Georgian market. We demand regulations so that everyone has equal conditions, and first of all Georgian companies will be given priorities,” she noted. Today, during the second day of demonstrations, airline officials threatened the Government to comply with their requests otherwise it would "completely paralyse Tbilisi International Airport” and staff would begin a hunger strike. Georgian Airways general director Iase Zautashvili said if demands were not satisfied, they would paralyse the airport tomorrow. Airline employees stood in protest for the second day today at the entrance of Tbilisi International Airport. Zautashvili said today’s demonstration was "just a warning” and tomorrow they would protest outside the Government’s Administration. The airline approached the Government with seven demands, including to immediately abolish a note the country sent to Russia on July 8 where the Georgian side gave a green light to Russian companies to enter Georgia and launch regular flights between Tbilisi and Moscow. Some of the other airlines’ demands were to separate Georgia’s Civil Aviation Agency (CAA) from the Ministry of Economy, to fire the CAA leadership team, who were employed by the previous government, and appoint qualified personnel as replacements. Georgian Economy Ministry Giorgi Kvirikashvili responded to the developments yesterday and noted there were two sides to the issue. "There are two sides; the interests of the companies and tourists, who are the citizens of Georgia and foreign citizens,” he said. "We are holding negotiations with the Russian side. Due to the fact that we do not have diplomatic relations, these negotiations are held on a technical level. We have to keep a balance between these two sides,” he said. Kvirikashvili noted that the Ministry would not compromise Georgia’s tourism industry with the aim of helping Georgian companies. "I can understand the pain of these people but this problem is multifaceted,” he said. The Minister also commented on the issue of separating the CAA from the Economy Ministry and said this decision should be made by the Government, however he thought there was no need of it. 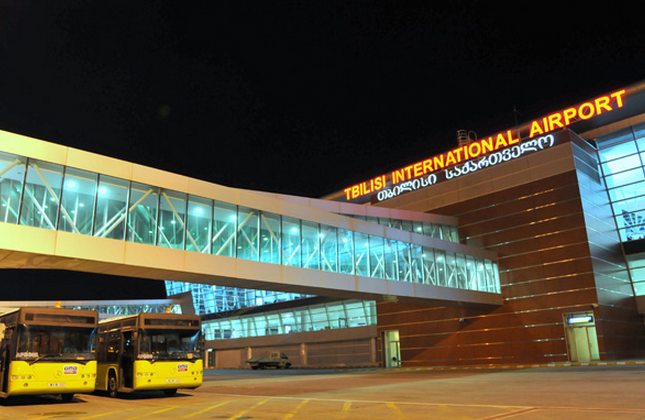 Flights between Tbilisi-Moscow-Tbilisi resumed in late October 2014 after lengthy negotiations between Georgia and Russia. Last year the issue was first discussed at a meeting between special envoy of Georgian Prime Minister on Russian issues Zurab Abashidze and Russian Deputy Foreign Minister Grigory Karasin. Following the meeting the Russian inter-departmental commission responsible for authorising air carriers to operate international routes granted permission to several Russian airlines to resume flights between Moscow and Tbilisi. The Georgian Airways boss said Georgia gave 13 Russian companies permission to enter the country and each were allowed to conduct 14 flights a week. "This means not only Airzena but the whole Georgian aviation was handed over to the Russian government,” Zautashvili said. "Georgian Airways was the only company who worked until the end during the 2008 August War. We were transferring the wounded and did everything the government needed. All foreign companies disappeared during the war and today they bring in the companies, for whom the August 2008 war happened,” he said. In addition, Zautashvili noted that Tbilisi International Airport was now owned by a Turkish company, and the sky had been given to Russian companies, which meant that there was no place left for Georgian aviation companies.